The Chapparal 300 Bowling Center opened it's doors in December 2011. 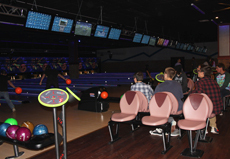 The new state of the art bowling center has 34 lanes, full sports bar, pool tables, shuffle board tables, darts, arcade, a mechanical bull, and snack bar. Chino Hills State Park, a premier natural open-space area in the hills of Santa Ana Canyon near Riverside, is a critical link in the Puente-Chino Hills biological corridor. It encompasses stands of oaks, sycamores and rolling, grassy hills that stretch nearly 31 miles, from the Santa Ana Mountains to the Whittier Hills. Chino Hills State Park is a great place to visit where you can escape the pressures of urban life and find peace and solitude in a natural setting. Visitors can camp for a few days or simply enjoy a walk, horseback or bicycle ride over trails that meander through valleys and along ridge tops through woodlands, sage scrub, and grasslands. Sixty miles of trails and fire roads also offer excellent opportunities for viewing wildlife and native plants. Facilities consist of a picnic area, equestrian staging area, pipe corrals, a historic barn, water spigots and restrooms. Day-use Vehicle Fee is $5.00 per vehicle, overnight tent and RV camping is available for $30.00 per night. $5.00 per extra vehicle. 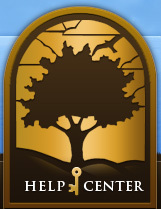 For camping reservations, visit ReserveCalifornia.com or call (800) 444-PARK (7275). For more information, call (951) 780-6222 or visit the California State Park website. This beautiful new state of the art 28,500 square foot library provides excellent reading opportunities and the use of technology in just about every corner. There are over 100 computers available for use, including a dedicated Computer Lab whose 18 computers can be used by the general public when classes aren’t in session and 6 specialized early learning computers, pre-loaded with educational software in the Children’s Room. 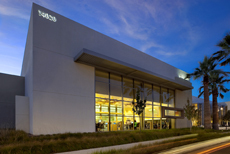 The library is located at 14020 City Center Drive, in Chino Hills within the Government Center complex. 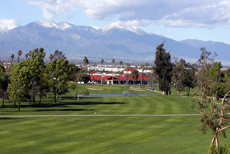 It is just one block south of the Shoppes at Chino Hills and near many fine shopping and dining establishments. For more information, call the James S. Thalman Chino Hills Branch Library at (909) 590-5380, or visit the Library Website for special event details. 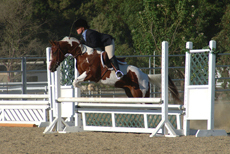 The McCoy Equestrian & Recreation Center is a 20-acre equestrian facility that features two lighted outdoor arenas, a community building, the newly renovated McCoy Residence suitable for small gatherings, and is home to many local horse shows. The facility is available for use by reservation. Please contact McCoy Equestrian & Recreation Center at (909) 548-0868 for more information on availability and the facility rental fees. 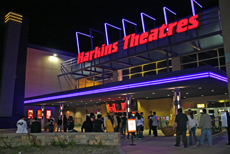 Harkins Movie Theatre is located at 3070 Chino Avenue, in Chino Hills. The theatre has 18 screens, stadium seating, spacious rows with plenty of leg room and comfortable high-back lounge seats. Conveniently located in the Crossroads Entertainment Center, off of CA 71 freeway at the Chino Avenue exit. Located in the same center is Buffalo Wild Wings, Starbuck's, Hampton Inn and Suites, and several other small dining establishments and a gas station. 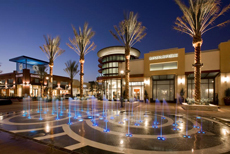 The Shoppes at Chino Hills has quickly become the Inland Empire's premier destination for shopping and dining with more than 70 tenants such as H & M, XXI Forever, Banana Republic, Victoria’s Secret, Trader Joe’s, P.F. Chang’s China Bistro, Chipotle Mexican Grill, California Pizza Kitchen, Yard House Bar & Grill, Pinkberry, Barnes & Noble Booksellers and Bath & Body Works, among others. Located at the intersection of Grand Avenue and Peyton Drive off the 71 Freeway, The Shoppes at Chino Hills features more than 375,000 square feet of retail and restaurants in an open-air, main street-style pedestrian setting. Free Wi-Fi is featured in the Promenade area between the fountain and Barnes & Noble. There are over 3,000 acres of open space and 38 miles of trails available for use and enjoyment. 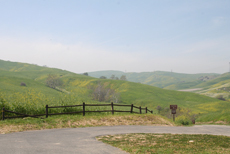 The City of Chino Hills also borders Chino Hills State Park, which offers access to an additional 16,000 acres of open space. 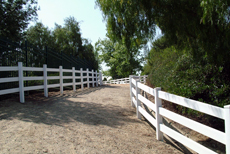 The City's multi-use trail system is available to walkers, hikers, runners, bicyclists, and equestrians. For more information, call Recreation at (909) 364-2700.